Siegman Associates, Inc. is a design-build firm specializing in the development of distinctive designs through a collaborative approach with its clients. Reflecting on the community and the context of place are the firm’s core inspirations. 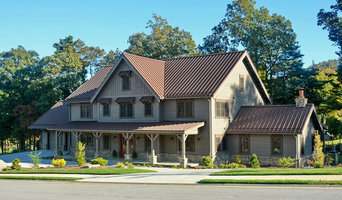 Mountain Sun is a Design/Build firm in Asheville, NC. We work with local architects to bring their ideas to life, as well as design and build some of our own spec and custom homes. We gravitate towards innovative design that is rooted in the study of the site, the clients’ unique needs, and a respect for the Earth in terms of material use and future energy and water consumption of the building. We design and build visions from the ground up, transforming the way you live. Whether you are building a dream home or weekend hideaway, the warmth of a timber frame home inspires you to relax and step back in time, to when the world moved at a more comfortable pace. Gorgeously designed and energy-efficient, each custom home is healthy for occupants and amazingly comfortable. If you want to work with a company that feels the same way you do about your new home, let’s get started. Sulaski & Company, LLC is a North Carolina unlimited general contractor. For over 30 years, our team has been creating award winning communities and homes. We build custom homes and in 2019 we will open two new communities, Riverbend Forest in Asheville, NC and Rugby Ridge in Hendersonville, NC. Nemec Construction is a locally owned design-build construction company. We are dedicated to custom, quality building using sustainable methods. In addition to new construction, we also do remodels, additions, kitchens, baths and custom cabinetry projects. We work closely with our clients to guide them through concept to the reality of their project needs. Design-build firms take on the responsibilities of architects, contractors and construction companies, all under one roof. These full-service firms focus on a streamlined design-build process — from the initial design to the estimating phase to physical construction — in the hope of creating an efficient experience for both the client and the company. 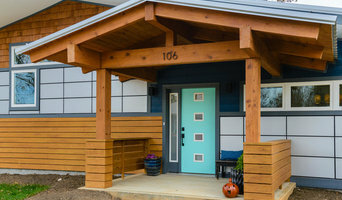 Because the entire project is happening within one company, Asheville design-build firms are able to overlap the design and construction phases of the project, which often speeds up the project significantly. In addition, these firms work to minimize risks for the project owner through single-point responsibility contracts. However, depending on the firm, you may still want to contact an interior designer or architect to help create the exact look you want. Here are some related professionals and vendors to complement the work of design-build firms: Interior Designers & Decorators, Landscape Architects & Landscape Designers, Architects & Building Designers, Photographers. Before deciding on a residential design-and-build company in Asheville, NC, think about what you want from your new home. Do you want a large kitchen for entertaining? Do you need several bedrooms for children and guests? Do you want a finished basement for extra space or storage? 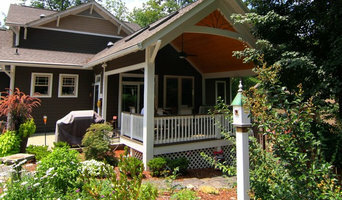 Look for Asheville design-builders that specialize in the areas you're looking for. Budget is obviously a determining factor in the outcome of your project. To make sure you stay within your means, consider making a must-have list and a wish list. Gauge where the estimates are falling to determine which design-build contract can realistically strike the balance between the two. 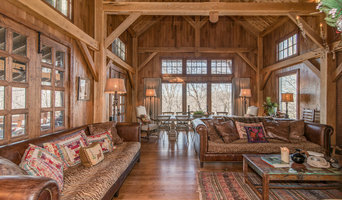 Find an Asheville design-build company on Houzz. Narrow your search in the Professionals section of the website to design-build firms in Asheville, NC. You may also look through Asheville, NC photos to find a pool you like, then contact the design-build firm that created it.